Last year, I was trying to figure out how we were going to pay our features and the online work that Proyecto Latina does throughout the year. I was feeling a bit deflated since another proposal Irasema and I had worked so hard on had gotten rejected. What were we going to do? Thankfully, another opportunity came when I was cleaning out my inbox. I was about to delete all of my emails when The Fire This Time Fund email caught my eye. The last grant we had applied for was so draining and the prospect of being rejected again made me cringe. However, draining or not Proyecto Latina would apply and if we got it great and if we didn’t we would keep moving. I’m so glad we did! When I got the award letter I was so happy and grateful because now we would be able to pay for our website and integrate more technology into the work we do, as well as, pay our feature presenters at our reading series. 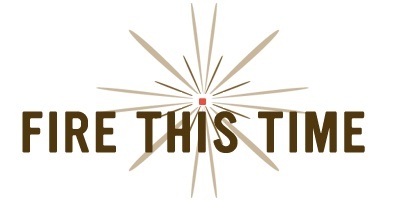 The Fire This Time Fund is our first funder and the grant they gave us has helped us grow. I’m a big believer in sharing opportunities and resources with our community and this is one you should make note of. In my opinion I feel like the Fire This Time Fund is a great template for other funds or folks thinking of creating their own fund. I’ve been part of other groups with funds and this one by far has the most innovative process. They took a leap of faith on the work that Proyecto Latina does. Who does that? We aren’t even a 501c3! This type of philanthropy inspires me. Here is what we encourage you to do. If you have a few bucks to spare consider making a donation or if you are an artist or group with a creative social change project please apply! The deadline to apply is September 20. Apply Today! I decided to reach out to Kristin Cox, found of the Fire This Time fund, to find out more about how the fund works. Why did you see a need to create this fund? Most groups that get funding need to establish themselves before getting noticed. Some foundations expect groups to be in existence for at least three years before applying for funding and one may never become a program director of a non-profit in order to gain the ‘power’ to implement their ideas. I find that some of the most compelling and exciting work are project-based, cooperative and less structured endeavors. Supporting off-the-grid, less-known, under-funded, messier, even riskier projects is what I was into, and so I invited people (mostly queer women) in my larger social network to join me back in the Spring of 2006. I also wanted to be a part of a peer-led, grant-making process where we would decide together what funding creative social change would look like. What makes this fund different from funds that are managed by foundations? Fire This Time is an all volunteer-run, independent entity, The money we raise is held in a high-interest earning savings account (Holiday Club account) at the North Side Community Federal Credit Union where I work. Previously, when we were in residence as a donor circle at a public foundation, we were paying a percentage to that foundation to be our fiscal sponsor. They gave us administrative support and the ability to accept tax exempt donations, however we decided that since we prioritized the channeling of funds to uninstitutionally supported projects, than we, organizationally, should mirror that value as well. Most of our donors are making modest donations where the tax exemption status isn’t going to make a difference anyway. As an independent entity, we can make our own time line and fund individuals and collective incorporated groups, where we couldn’t before. How is the Fire This Time Fund impacting the arts community? We fund individual projects that range so widely- some are one-time projects without a shelf life, others are youth arts organizations that are trying to keep the lights on. We have funded theater and performance workshops, youth hip hop arts, photography exhibitions, oral history projects, book projects, political prisoner plays, poetry chapbooks, animation for a film project, mobile media installations, and the list goes on. To date, we have funded over 50 creative social change projects, ranging from $500 – $1,000, over the past four years. What can the arts community do to support the Fire This Time Fund? As we grow, rotate active members, invite new folks, model a philosophy of community reciprocity where grantees and the arts community are not just recipients but givers and participants as well, only then will we begin to carve a new path of radical grantmaking. In an ideal FTT world, the giving circle would involve hundreds of community givers! Folks can offer a group yoga class and donate the proceeds, cook dinner for a large group of people and ask for donations to support FTT – you name it! We are having a Kickball Fundraiser in Humboldt Park on Sunday, September 12 where folks can pledge $1 per homerun kick. Artists over 21 can come out to our Peace Party at Danny’s Tavern, 1931 W. Dickens on Monday September 13 and dance and drink to help us raise money for this year’s grant cycle. $20, $30 will go a long way if 100 people choose to give. Paypal donations accepted at www.firethistimefund.org. We have $5,600 more to raise in order to reach our $10,000 goal by the end of the year.